We are leaving Puerto Rico International airport aboard a tiny six-passenger airplane bound for the British Virgin Islands and nine days aboard a bare-boat chartered cruise. 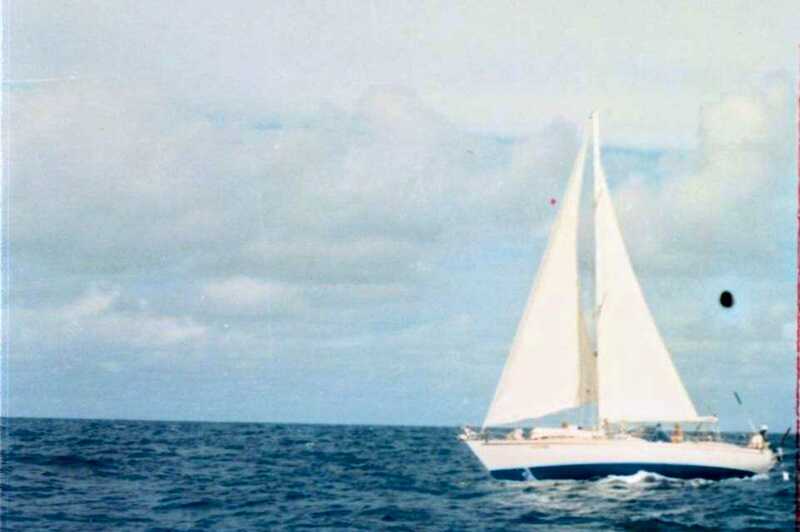 This was to be our first step in testing the waters of living about a cruising yacht before deciding to consummate our long-delayed dream of sailing around the world. 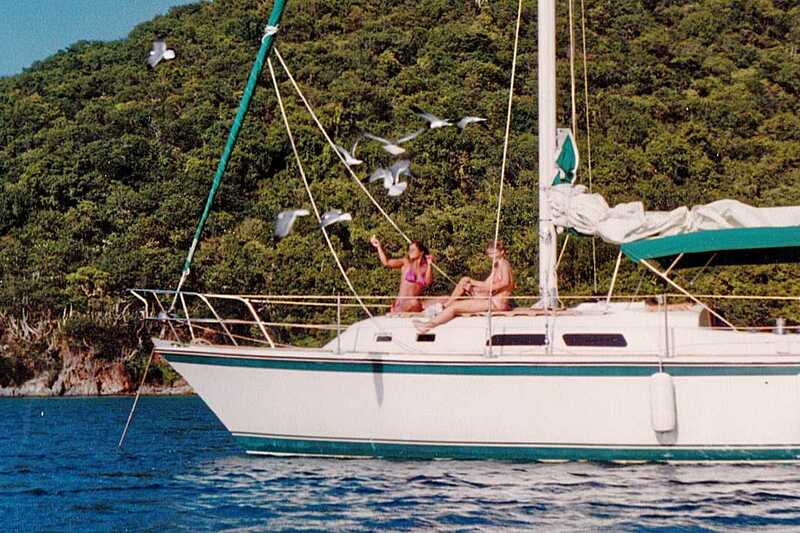 “Start slow–and taper off” is the motto for island living we’re told by the manager of the West Indies Yacht Charters at Maya Cove as he greets us and our good friends Steve and Kathy with rum punches when we arrive. 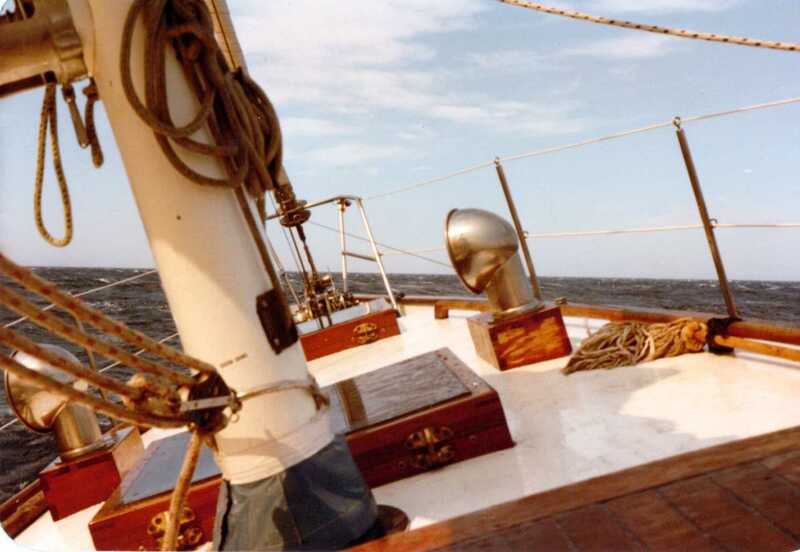 We whole-heartedly comply as we sail away the next day on our O’Day 37 and anchor off lonely Norman Island, which is said to be the inspiration for Robert Luis Stevenson’s Treasure Island. Somehow I’m reminded more of something written by Jules Verne as we set off early the next morning in the dingy to explore the caves hidden in nearby cliffs. There’s an eerie beauty that clings to the island as we slip though long, cool shadows cast by the dark cliffs rising steeply from the water. Above us large sharp-winged albatross circle the pale sky and screech like ancient, flying reptiles once might have done. While in the seas below, I can almost feel the whirlpool that could soon be sucking us down to some prehistoric paradise beneath the ocean. We pull the dingy onto a small, rocky beach where two angry gulls swoop down from the cliffs, diving noisily at us. Soon we are snorkeling toward the caves, finding that the watered world below holds all the primeval beauty and excitement we anticipated. 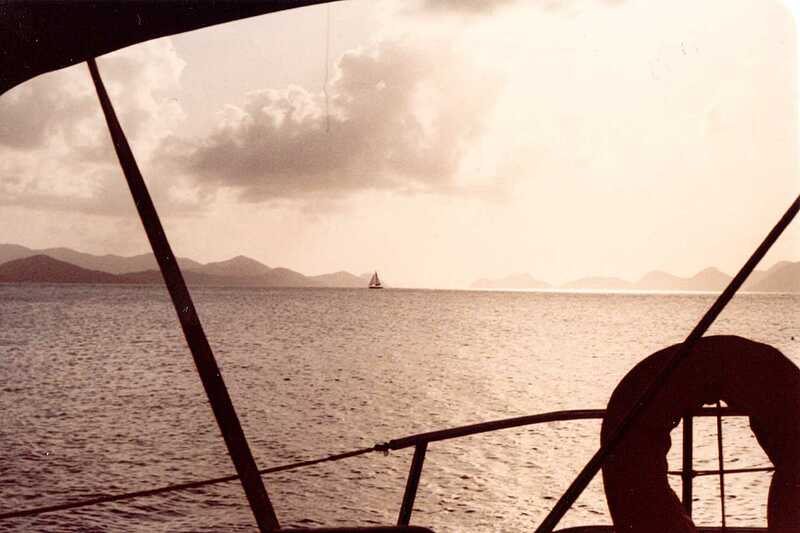 We tack across the channel toward Virgin Gorda the next morning, where we stop briefly at “The Baths” and climb among the giant-sized boulders strewn along the beach. Later we press on toward Spanish Town, where we wander down a narrow, squall-puddled lane amid wild orchids and flaming Jacaranda trees to find Fischer’s Cove Restaurant. There we dine on spicy-sweet pumpkin soup and the most succulent lobster that any of us can remember tasting. 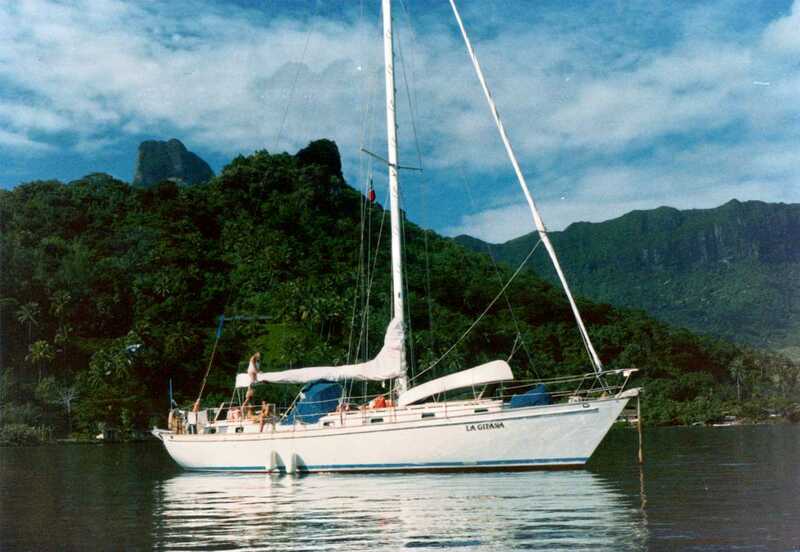 The next day we sail into Gorda Sound and spend a quiet evening at Robin’s Bay, cleaning and cooking the tuna that Kathy caught on the way. 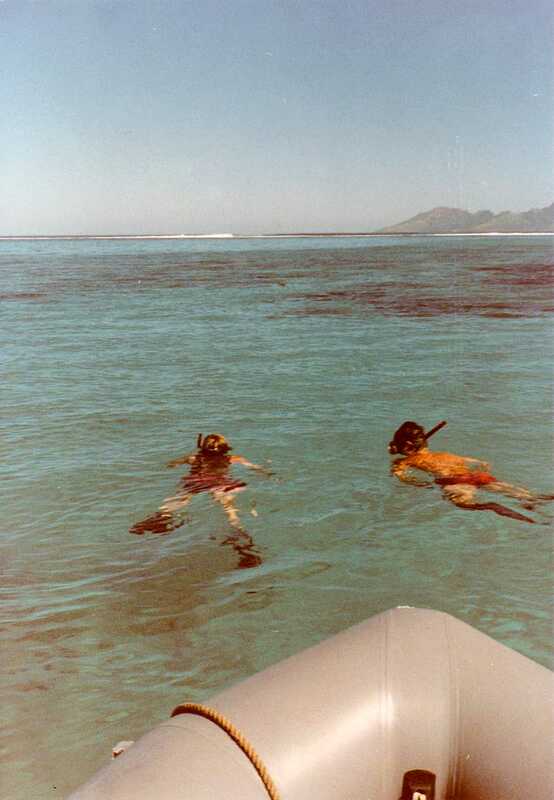 In the morning we head to Mosquito Island and anchor off the reefs where we go snorkeling. 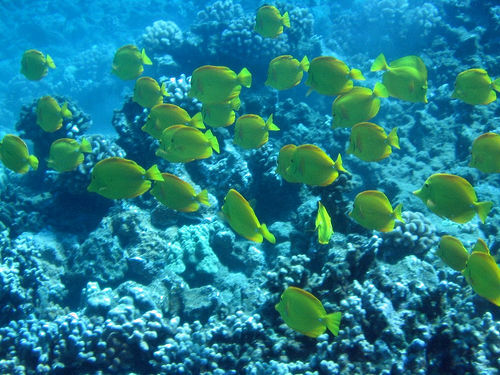 We circle past beds of plump brain coral and wander through the lavender gardens of lacy fan coral where fat butter-and-black striped fish seem to hover like bees. Swimming past the rocky point, the sea becomes so deep that we seem to be tottering on the brink of some dark, fathomless cavern. We dive down into these cooler waters and are suddenly swallowed by thousands of tiny silvery-quick fish. Always, lying just at the edge of our vision, wait the pug-jawed barracuda, like wary watch-dogs. 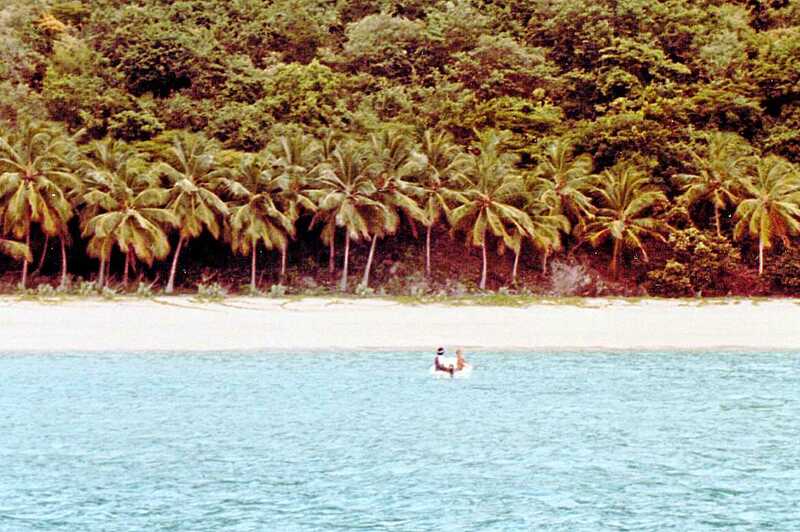 We surface on the far side of the island and sun ourselves in a quiet, sandy cove before hiking back across the island through an intricate maze of sea-grape, palms and cacti, then swimming out to our boat. That night we anchor at the Bitter End Marina, an appropriate name it seems. Sleeping under the stars on the deck, looking out between Saba Rock and Virgin Gorda, it seems we’re perched on the very edge of the Caribbean with all the Atlantic and the dark shores of Africa hidden in the night before us, blowing its hot jungle-scented breath across an ocean to touch us where we lay. 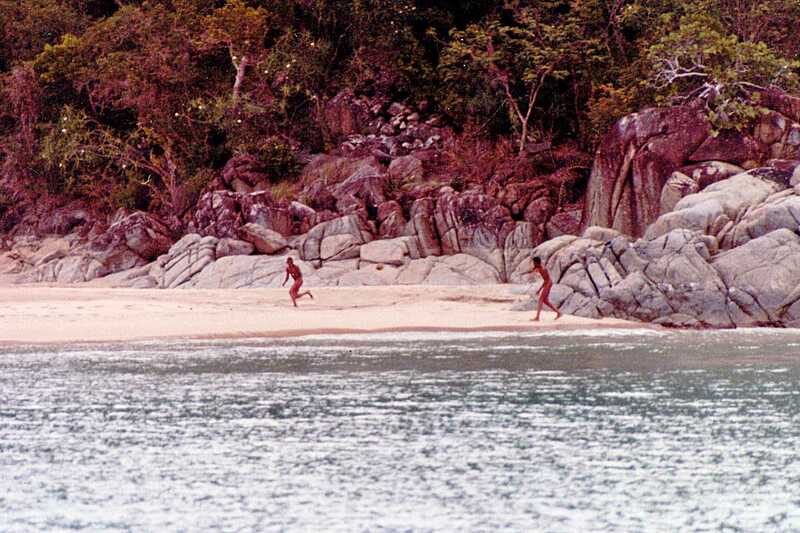 From a nearby boat, men are singing a low, rowdy drinking song, floating across the water like remnants torn from a colorful, pirate-ridden past. Even the stars seem half-submerged in a night swollen with dreams. It’s our first night of no-rain, and we lie there in our pool of moonlight, talking quietly and sinking slowly into sleep. 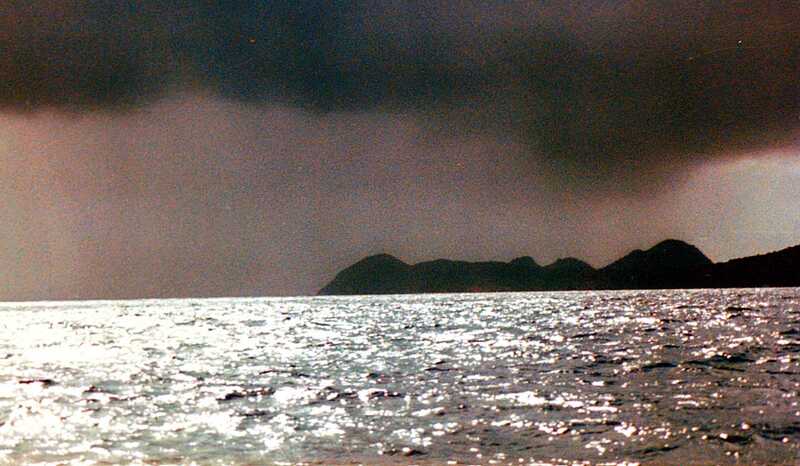 The next morning as we head back toward Tortola the rain that avoided us the night before is close on our heels and Steve and I are busy snapping shots of the dark, but lovely on-coming squall. Too soon it’s upon us and I barely have time to put the camera away before we are heeled over, topsides awash. Kathy is furiously reeling in her fishing line, her bikini top blown down about her waist, while she slides helplessly over the side. 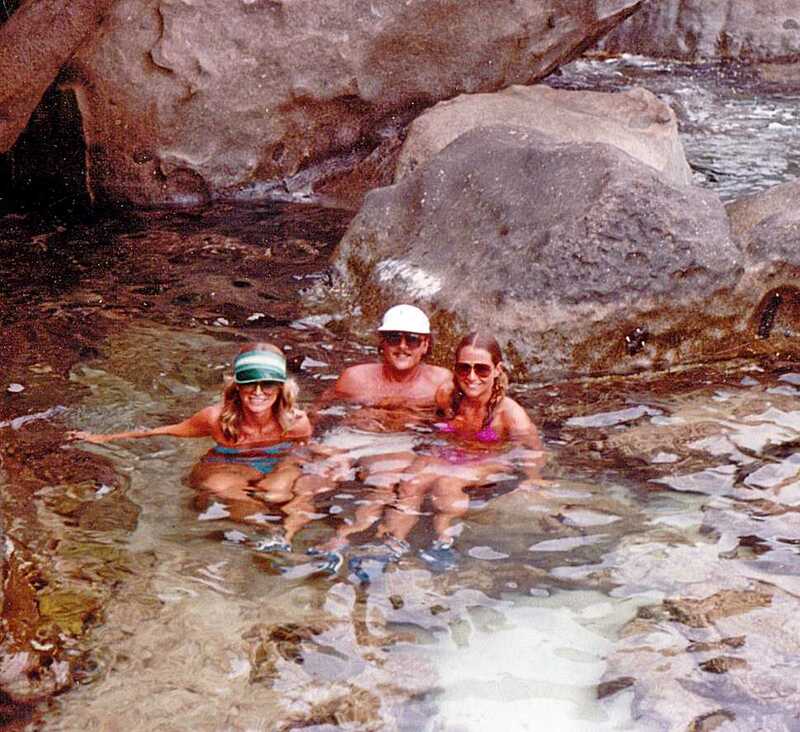 I just manage to grab hold of her before she’s washed away, when Steve calls for her to run and get the soap so he can take advantage of this tropical shower. Within fifteen minutes the squall has passed and I have my camera out again. This time I make the crew line up and pose, asking them to look as much as possible like drowned rats. Steve, especially, seems well suited for the task. 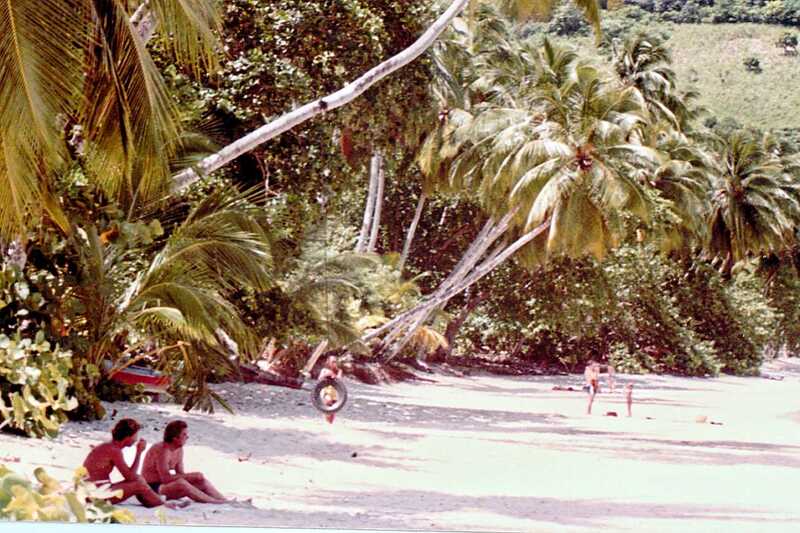 The northern shores of Tortola are exceptionally lush and inviting with several deserted coves becoming our own private play grounds. Here the water seems spilt from a paint box—deepest indigo flowing into turquoise, and then rinsing out to a pale sapphire on the soft, white sand—while behind rise groves of palms and steep, forested mountains. 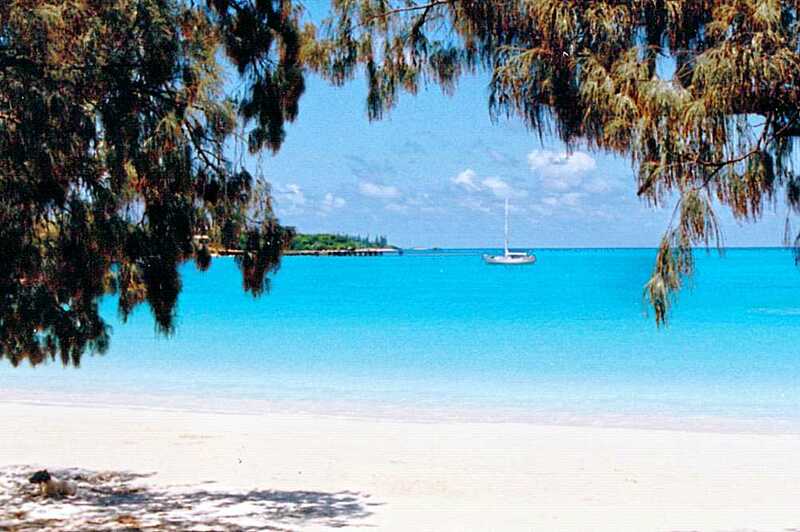 Cane Garden Bay is but a wider, populated version of this. We lay at anchor in her large generous mouth with run drinks in hand, a kind of easy languor settling over us as our senses become well sated. On shore we measure the progress of an old man on a donkey riding out of the steep hills, disappearing in the foliage, and crossing a stone bridge. Nearby a boat plays at spinnaker-riding. 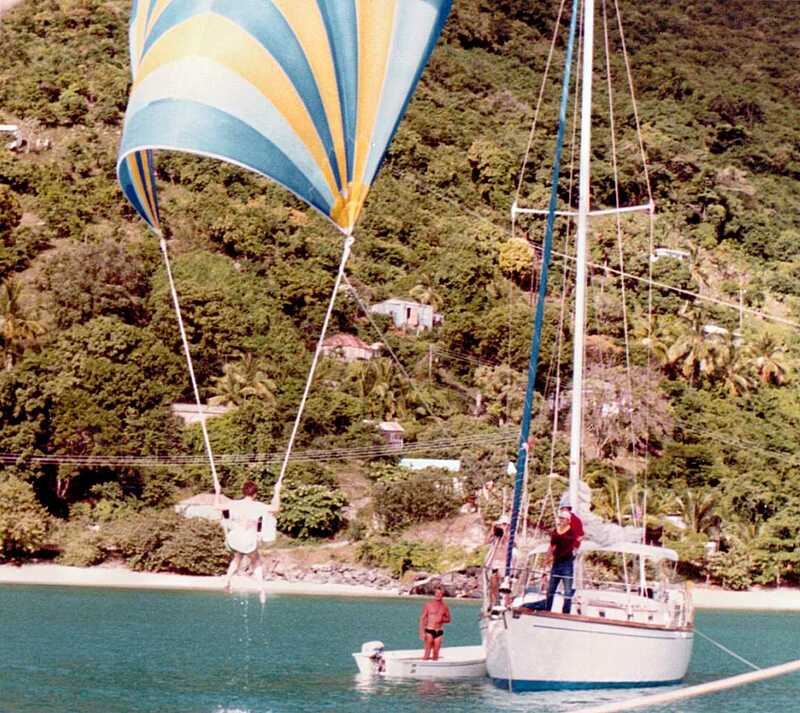 We watch as the wind catches the brightly colored sail, lifting it high about the mast like a giant kite, while swinging on a line drawn between the clues, a young woman squeals with delight. Toward evening, colors grow mute and sound emerges—faint tinkles, soft drumming, a syncopated beat. The two sleepy beach bars are finally stirring and soon a battle of the steel drum bands is in full swing. The hypnotic, calypso music is wafted through the balmy night, across starlit water, luring wayward sailors ashore. In time, we too succumb. We make our last anchorage at Little Harbor on Peter Island. 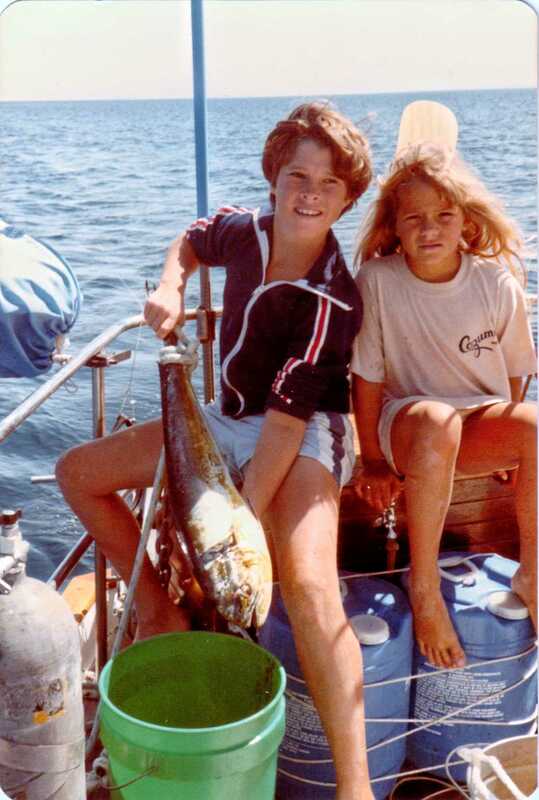 Kathy and Steve catch a red snapper and king fish on the reefs that we barbecue for supper. The moon rises plump and round over the mountain, dancing briefly with roguish clouds before another squall blows in. 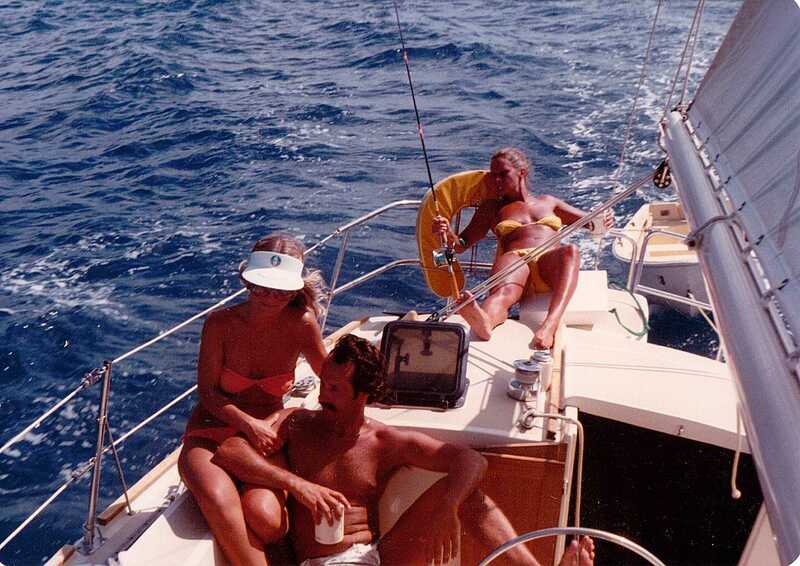 We sit below the Bimini in a womb of water, none of us wanting to go below and put the night to sleep. When we do it is one by one, each along, like candles that burn out slowly and separately in the night. It is a rare occurrence, these last nine days in the British Virgin Islands—a trip that surpasses even our inflated fantasies of it. The best part is the naturalness of it all: the rising to a shared breakfast beneath the early morning sky, the daily scrubbing of decks, dishes and laundry, then festooning the life-lines with drying clothes; the fascination of snorkeling and sensuousness of sailing, when the sun and rhythmic seas soothe the soul even while vigorous winds and drifting vistas stimulate the mind. There’s the feeling that this is life at its most eloquent and elemental form—a life worth pursuing. 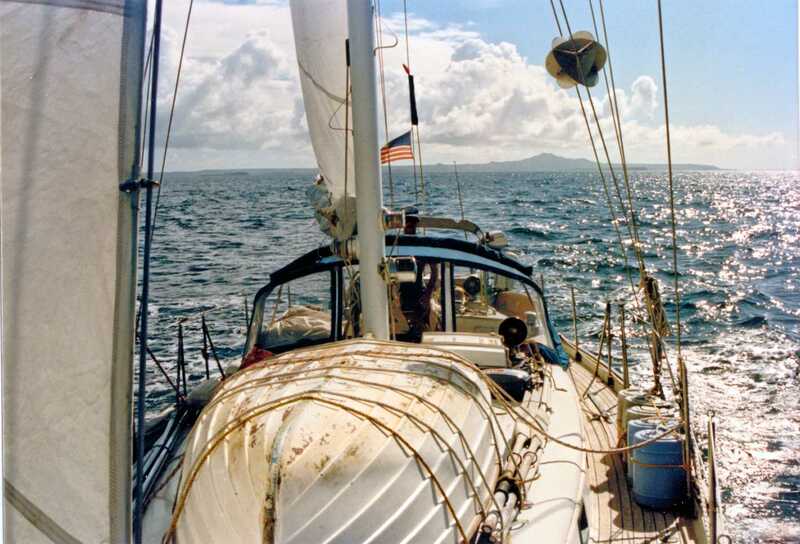 We leave the islands with one conviction firmly in mind: It’s time for our dream of sailing around the world to begin ripening into reality. 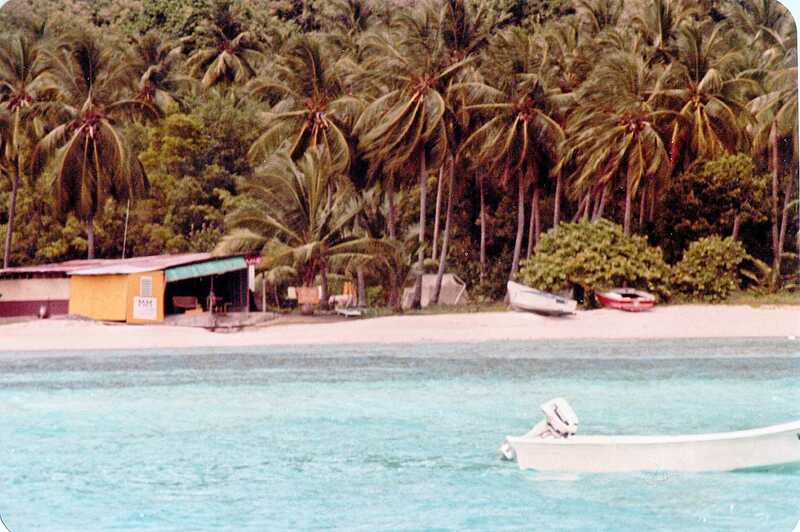 But before we do, we take one more bareboat charter into the tropics—this time to the Bay Islands of Honduras with Dale’s father. We married on the fly. I had no wedding gown, no ring, no cake. No one thought to bring a camera. Our parents were given an hour’s notice to meet us at the altar. I’m still amazed the minister agreed to tie the knot on such late notice. We were married standing beneath a giant heart covered in roses in a chapel decorated for another couple’s wedding. 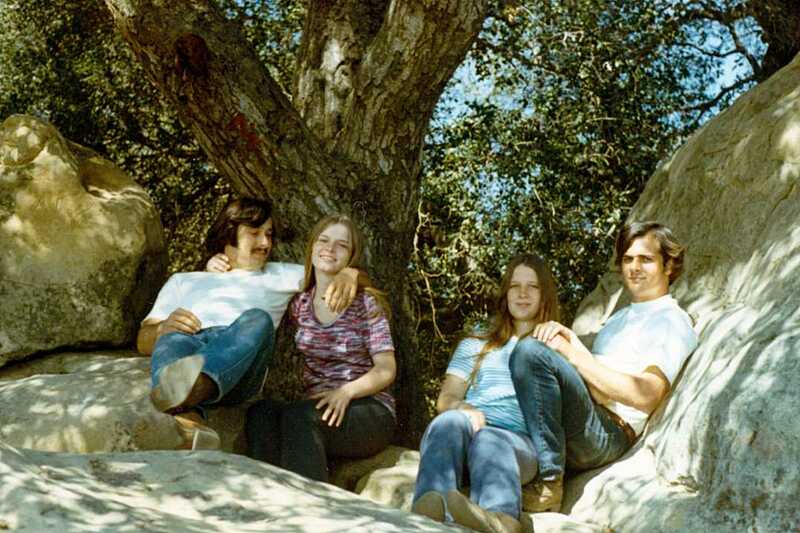 We drove off to Santa Barbara later that afternoon to spend our wedding night with our best friends, Steve and Kathy. They graciously gave up their bed to us, a mattress on their bedroom floor, and slept on the couch that night. 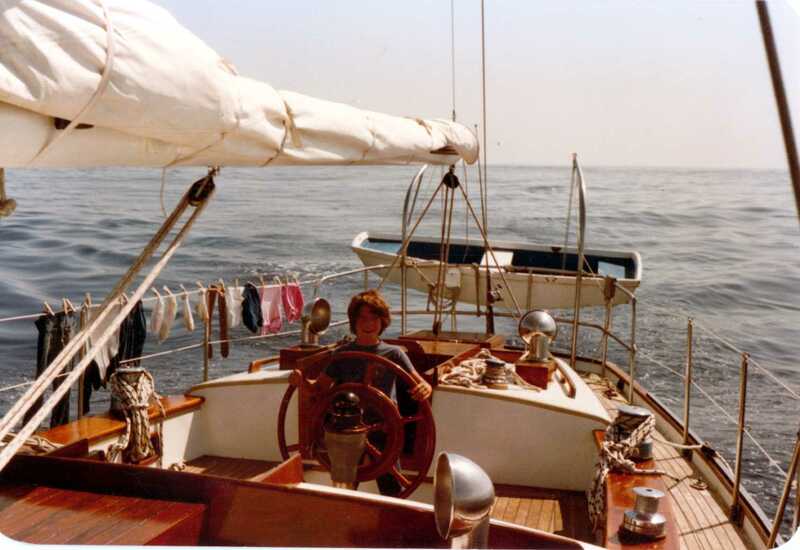 The next morning we rented a 10-foot sailing dingy and headed off toward the oil rigs in the channel, even though storm warning flags were flying. No one knew how to sail, but how hard could it be? We made it half way to the oil rigs before the steadily building waves started swamping the boat. 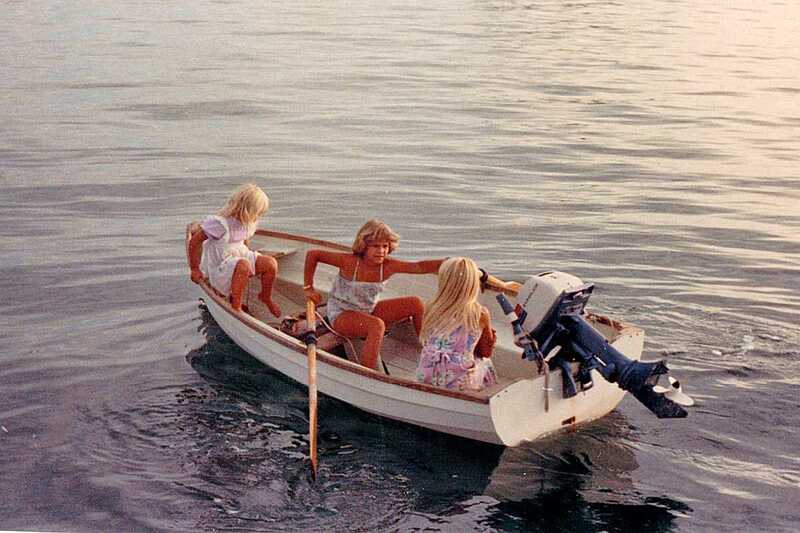 Kathy and I frantically bailed water with our straw sun hats while the guys managed to get the outboard engine started and the boat turned around. We finally made it to shore, wet and cold with ruined hats, but undaunted by the adventure. That afternoon we headed south to find an apartment while Dale looked for work. Meanwhile I enrolled myself in the local high school. 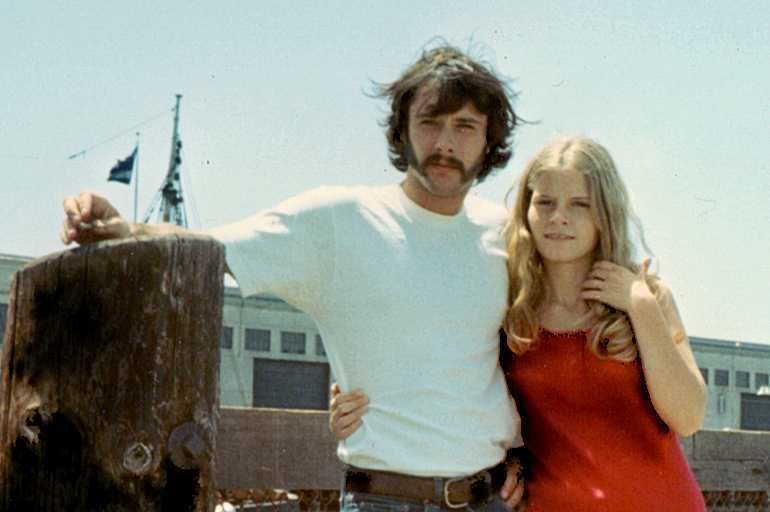 Although I had already turned 18, I was still two months shy of a diploma when we eloped. I lasted about a week at the new school, and then enrolled myself in a community college. By the time I finally took the courses needed to get my long-delayed High School diploma, I’d already earned a BA in English. 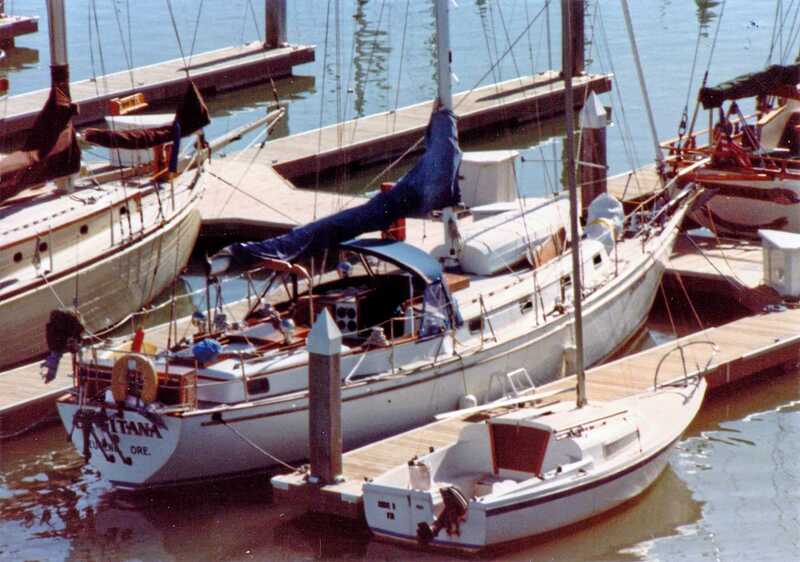 A retired Port Captain at Long Beach Harbor eventually taught us to sail. 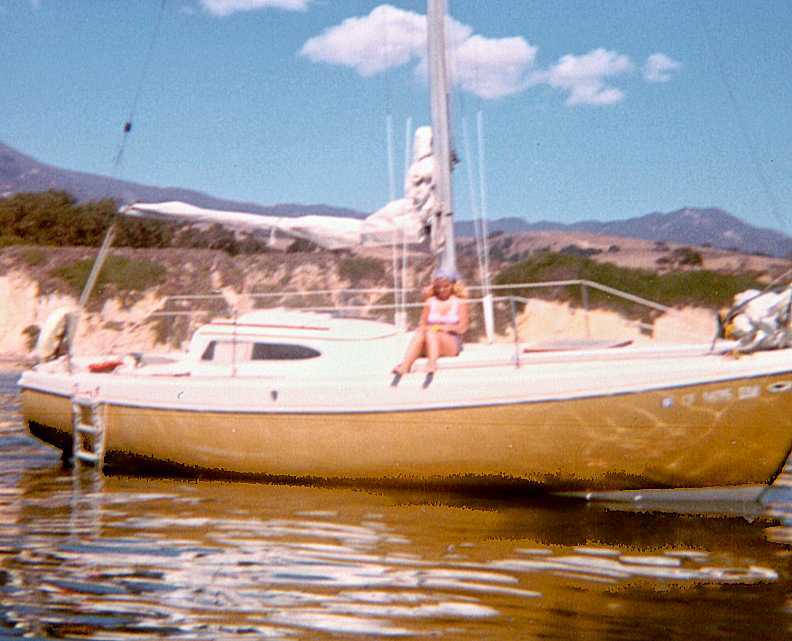 Not long afterward we moved back to the Central Coast where we bought a small sloop that we launched and sailed at Lake Lopez, Morro Bay, and Santa Barbara. 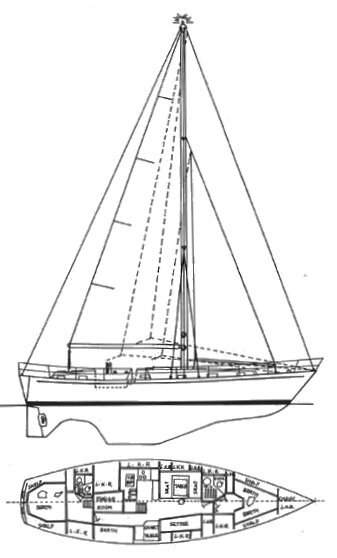 Our next boat was a Columbia 26 named Dulcinea. 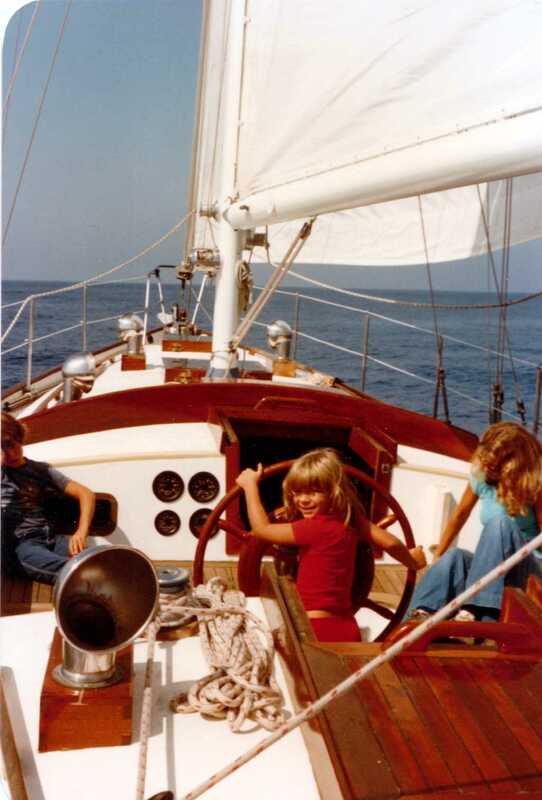 We kept her at a slip in Santa Barbara, spending long sunny weekends aboard with the kids and cruising along the coast and to the Channel Islands. 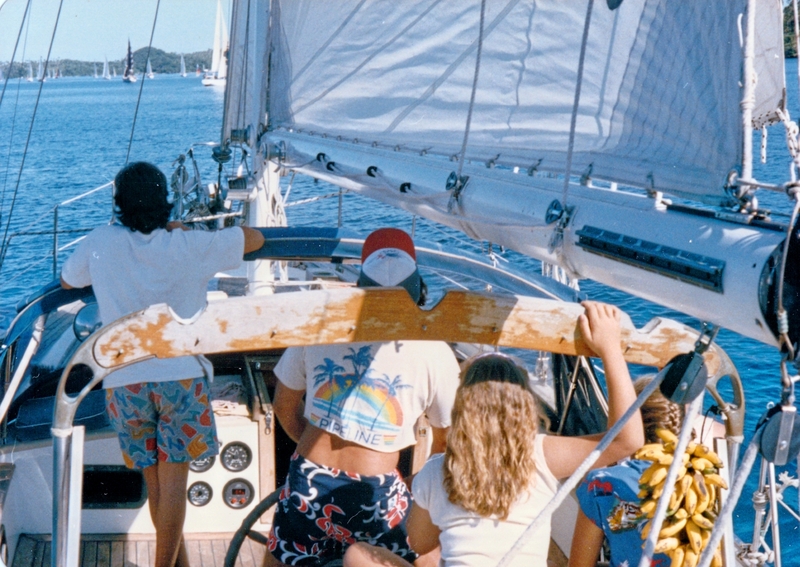 Even so, it wasn’t until we took a bareboat charter in the Virgin Islands and later the same year to the Bay Islands off Honduras that we knew for sure we could do this—live this way fulltime, sailing from one island to another . . . forever. 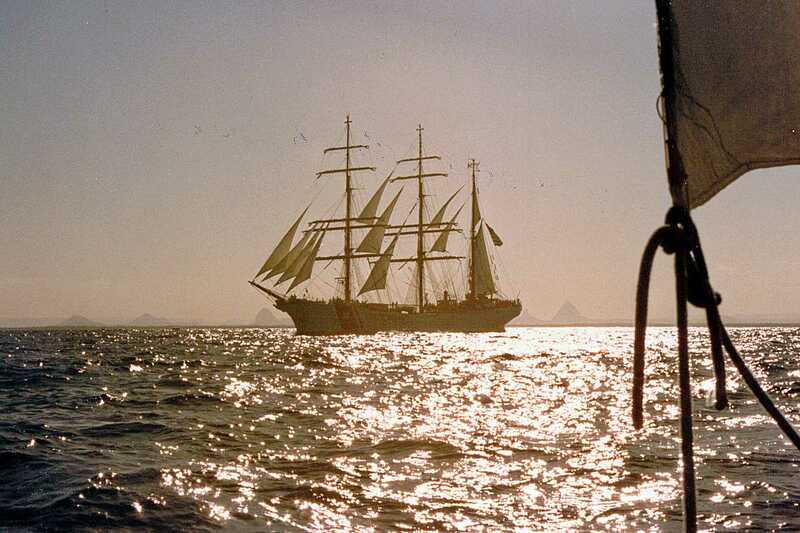 Our dream of sailing around the world was reborn. I was already falling in love at this point and the thought of sailing around the world with him someday pushed me over the edge. 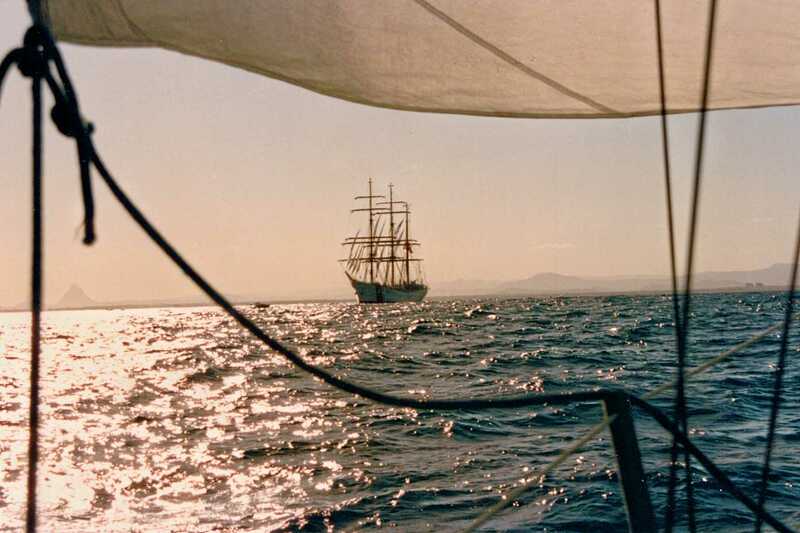 But there was more to the sailing dream than that. 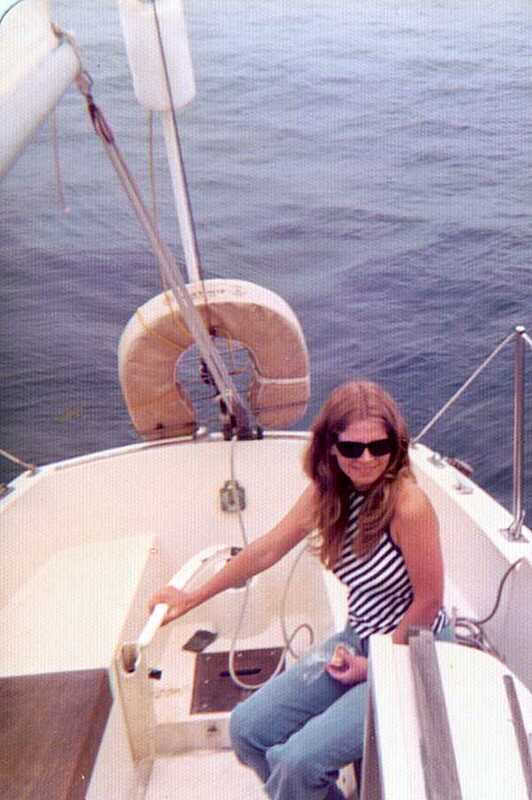 I’d always been fascinated by the ocean and as a girl I loved reading books about kids who grew up around boats. I loved films about high-sea adventures and swash-buckling sailors. I was wild about pirates. 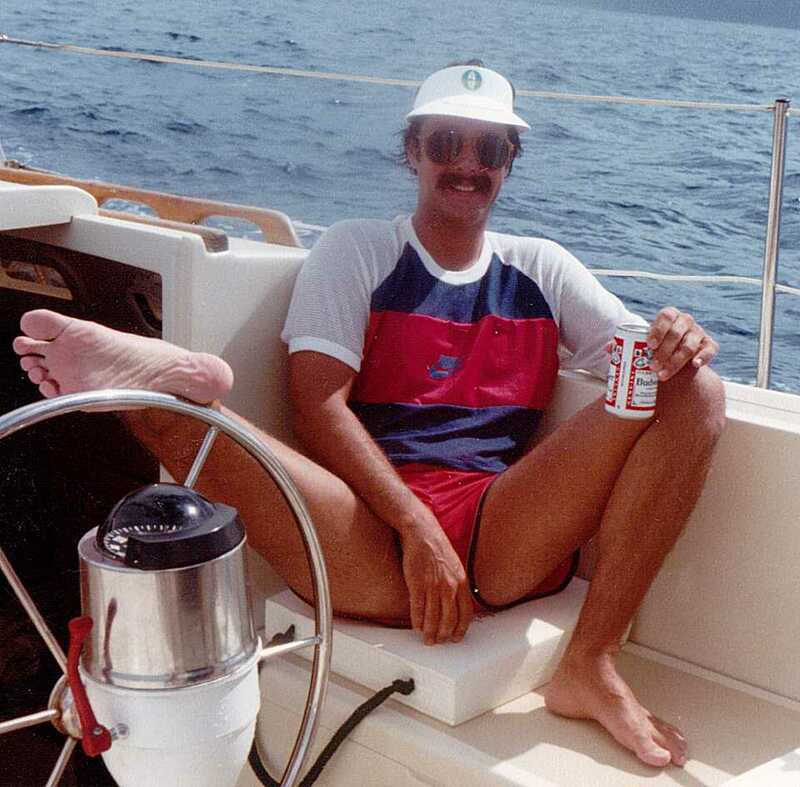 So when I met this handsome, adventurous man who was a doer and dreamed of sailing around the world, I fell hard, all the way. 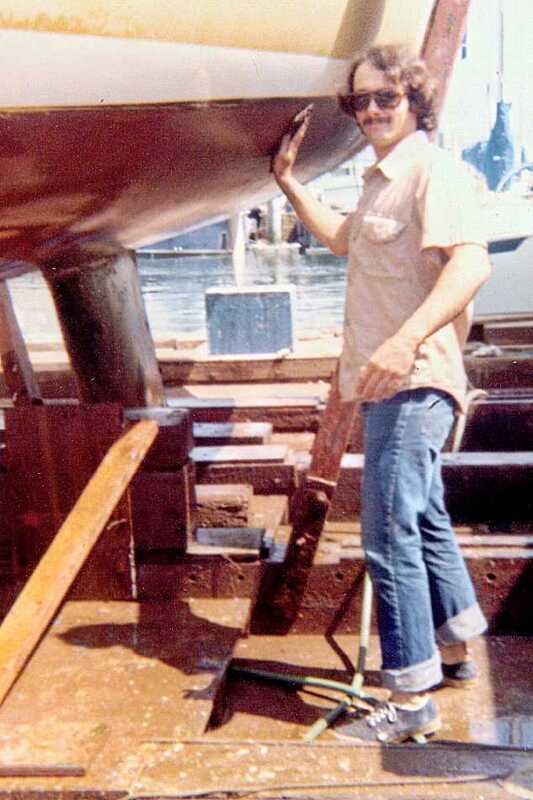 Dale was already a man of the world at age 21, a Viet Nam vet. He’d enlisted because he wanted to go to sea. He tried joining the Navy but they wanted a 4-year commitment and he was a man in a hurry, so he went next door and joined the Marines. You know–Marines—the sea—right? Clearly he hadn’t thought this through, but risky behavior was in his blood. His dad was a bull rider before becoming a high steel worker, and later a mountain climber. By the time we met, Dale was racing off-road vehicles in the Baja 500, and earning a living walking high steel beams like his dad. He drove a Porsche. 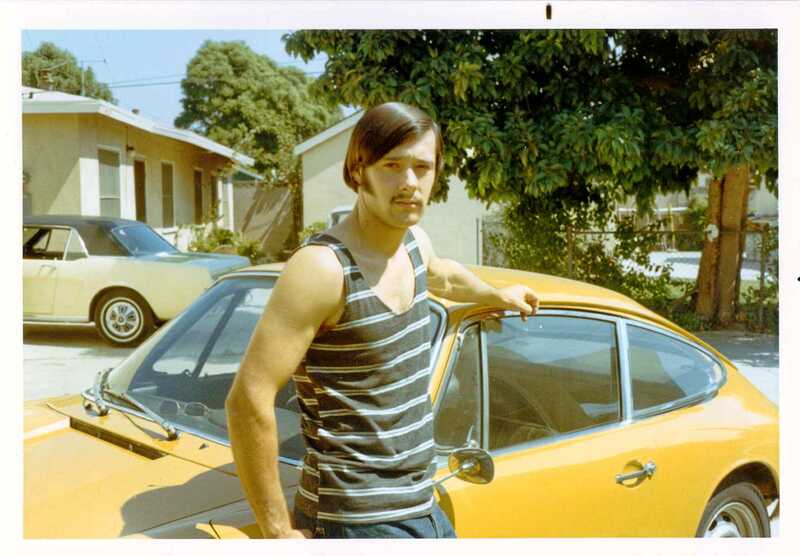 He had a mustache and sideburns. He looked like a pirate. I was still a senior in high school. I wore pigtails and sang in the choir. I drove my grandpa’s old Rambler. He was the opposite of everything me. Exactly what I was looking for. 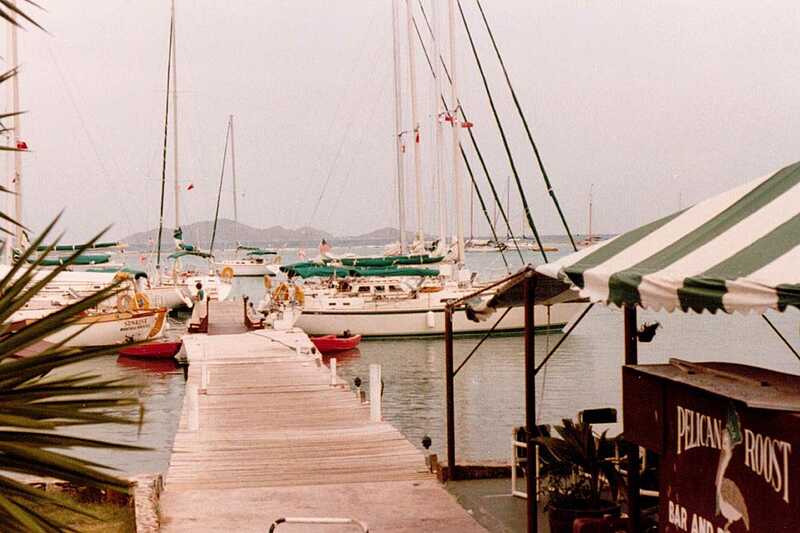 Twelve years passed before we sailed away together and saw our dream come true. But by then I was largely the driver of the dream. Dale had become the responsible adult. He thought we should put our dream on hold until our two kids were grown. I said no way. I’d waited long enough. 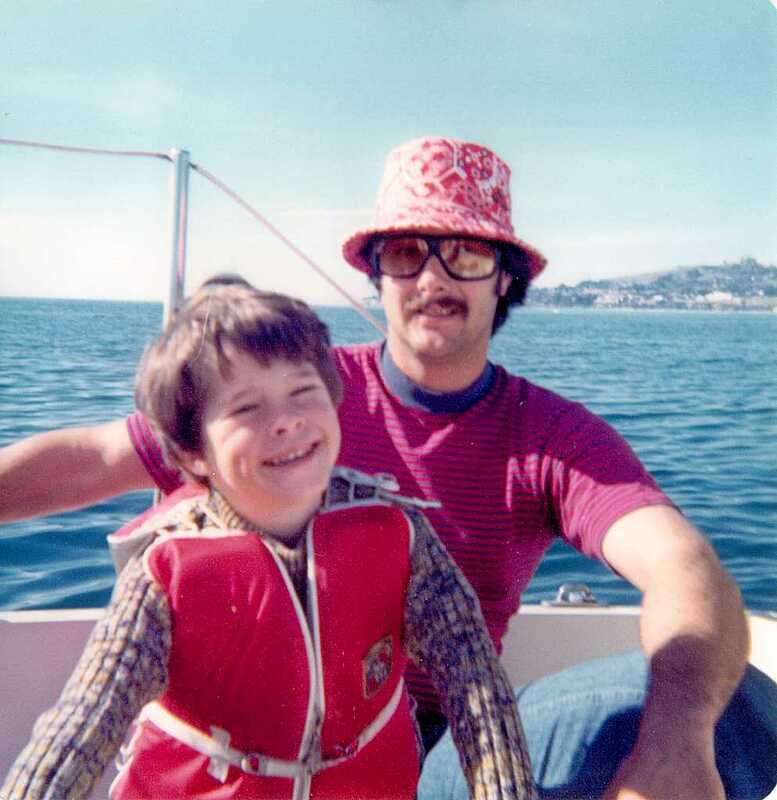 I’d never had the chance to grow up around boats, but by golly our kids would.